It’s time to do a bit of a summary on some great resources about BOS Security Guard services. Read on to see what our picks are for the best five pieces of advice and information. 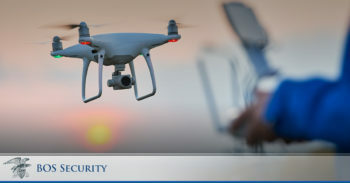 The rise and advancement in remote guarding technologies has enabled guard services like BOS Security to provide a wider range of security offerings to customers while maintaining Grade-A security to these locations. Being able to remotely monitor and track multiple feeds using advanced resolution cameras and high tech computer software adds a level of overwatch that you just can’t get without stationing a guard on every corner and every door. If you’ve got concerns about wide area security at your premises or have any other questions about remote guarding services visit this post here or call us on 404-793-6965. Having the assessment done will identify the areas you need your security to focus on which has a few key benefits such as the following. These are just a few of the benefits having a security needs assessment done to match your needs to requirements will bring. Click here to visit the security needs assessment page to start this important processes. We’ve come to the conclusion that there’s many levels of security services available and while some security companies occupy the lower end of the spectrum. They can often be cheap but cheap means poorly trained, unprofessional and underperforming. In the high-stakes business and security environment we operate in you should be aware of the level of service and professionalism you’re receiving from your security provider. You’ll be pleased to know that BOS Security guards are mostly ex law enforcement and highly trained for all security operations from low level guarding to high end industrial and government rating security services so you have the best in the business on your side. One of the most important things to consider when you look at a small business is the security needs of the business. While a security needs assessment will give you an answer the question you’ll get a personalized solution to your business. It’s quite true that no two small businesses are exactly the same and because of this their security needs will be different. BOS Security will be able to assess your security needs and see if you require on site guarding or whether remote guarding is a viable solution for you. We can also look at when you need the guard services and particular areas of risk for your business. Remember that having a BOS Security presence within your business will both build up confidence from your employees but also your customers and stakeholders. Having security in your business means you have an edge over your competition and this is a valuable resource to have. In this article we covered what it takes and just how important it is to secure your neighborhood. Contained within is great advice which applies to everybody not just business or residential. Everybody who lives in the suburban US landscape can learn from this great article. Here’s some quick tips for neighborhood security. Read the article for more in-depth information. Click here to start your security needs assessment or give us a call on 404-793-6965 to see how we can help you!